Iterators are a fundamental concept in OOP. Every mature language will implement the iterator interface. 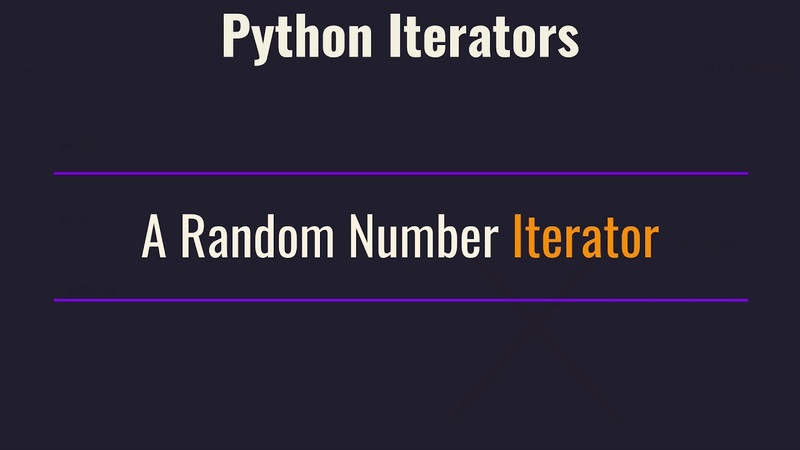 In this lesson, we talk about the importance of Iteration and the Iterator Pattern. You'll see how these two pieces are connected to finally use for loops on class with your instructor. Here's a quick summary of the video. A list and a file are two really different type of objects; but yet, they support this intuitive interface. Our objective is to build this interfaces into our own classes, so we can allow our users to iterate over our own classes. # No more elements! What happens if we use next() again? next(iterator)  # raises StopIteration() exception! To "use" the iterator pattern, we employ 2 functions: iter() and next(). iter() will be explained in class, so don't worry too much about that now. next() will ask for elements to the iterator and will receive one element at a time. When the iterator runs out of elements, invoking next() will raise a StopIteration exception. For a class to be considered an iterator it needs to support 2 methods: __iter__ and __next__ (next in Python 2). The __iter__ method will be explained in class, so let's focus on the __next__ method. __next__ is the method that will be invoked whenever the next() function is applied on the iterator; so it needs just to return the element from the current iteration or raise a StopIteration exception if there are no more elements to iterate over. If you're looking for external resources, you can check chapters 7 and 8 from Dive into Python 3. They provide a good starting guide on Iterators. If you have some 30 minutes available, I highly recommend Ned Batchelder's talk from PyCon 2013: Loop like a native.